An Agricultural Equipment Manufacturer needed an improved Drive Shield to take on the most fierce conditions and keep farmers running. A successful Agricultural Equipment Manufacturer that has been in the business of helping farmers for more than 100 years got to that enviable position by listening to their customers and paying attention to how the equipment they created needed to function. 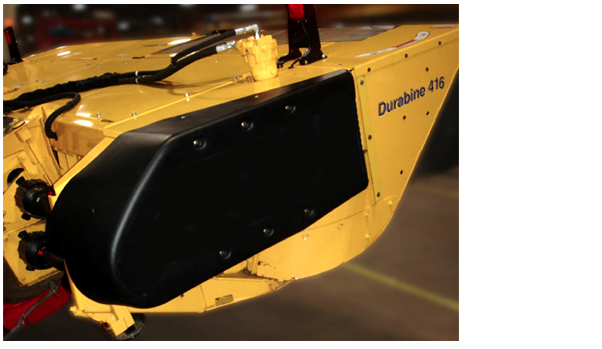 Their existing metal Drive Shield for narrower-sized windrower/swathers was too heavy and posed a potential danger to farmers when opening and closing the Shield to assess their equipment drive belt. It may seem like nothing to cut down a blade of hay, but cutting thousands at around 20 mph can do serious damage to equipment. And while farm equipment is meant to work hard, there is an aesthetic component as well. After regular use, the original Drive Shield began to look like it had been working a little too hard. The metal would dent causing chipped paint, and ultimately rust. Additionally, because of the nature of agricultural equipment, the quantities were in the low thousands, not the hundreds of thousands. To make the shield lighter, yet durable, Allied Plastics made use of High Molecular Weight Polyethylene (HMWPE). HMWPE is the same material used for truck bed liners, storage drums and portable washrooms. It can take a beating and keep looking great. HMWPE was the right choice because not only is it a lighter weight material, it can withstand any chemicals that it might come into contact with through equipment cleaning or maintenance. Creating the new Thermoformed Drive Shield came from the concept of Part Geometry. Our engineering experts took the overall shape required and considered the additions and deletions needed to make for the best fit and function. Ribbing was added to the inside of the piece to give it even more rigidity without compromising on its ability to take a hit out in the field. 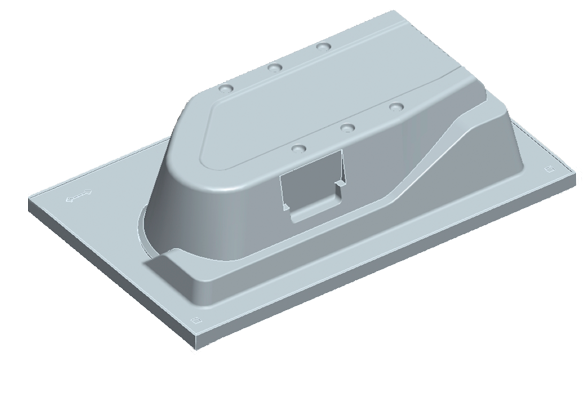 The high rigidity and excellent weatherability allowed for a more streamlined Thermoform Plastic Drive Shield that wouldn’t need to be painted to ensure ongoing performance in any environment. Not only does the new shield enhance user safety, it also looks great. 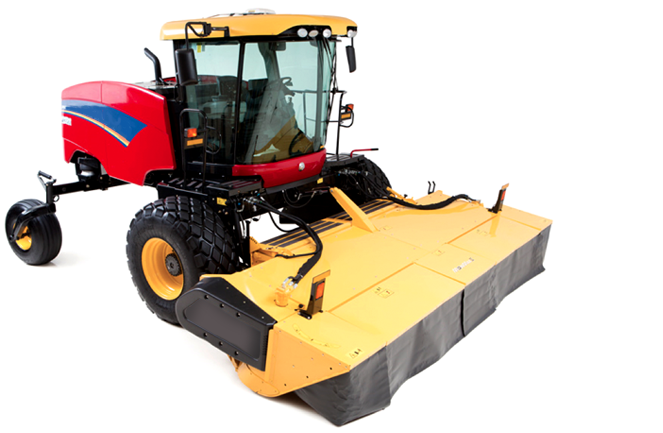 On top of all these benefits, the agricultural equipment manufacturer and the end users will achieve a reduction in the fuel expenditure (both on shipping and in use) due to the lighter weight of the Thermoformed Plastic Drive Shield.